227 in stock Need More ? Why is six afraid of seven? Because seven eight nine! 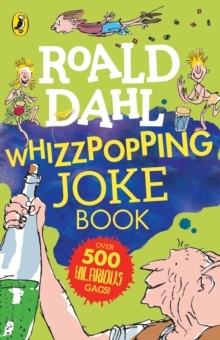 Roald Dahl's Whizzpopping Joke Book is a collection of hundreds of great jokes would make even the Trunchbull laugh!Inspired by Roald Dahl's wonderful world, these gigglesome gags are guaranteed to raise a chuckle from human beans young and old. We have stock available for immediate despatch, and should this not cover your order, if more stock isn’t already on the way, it will be ordered immediately to cover your order. This typically takes 1-2 weeks, depending on availability from the publisher.